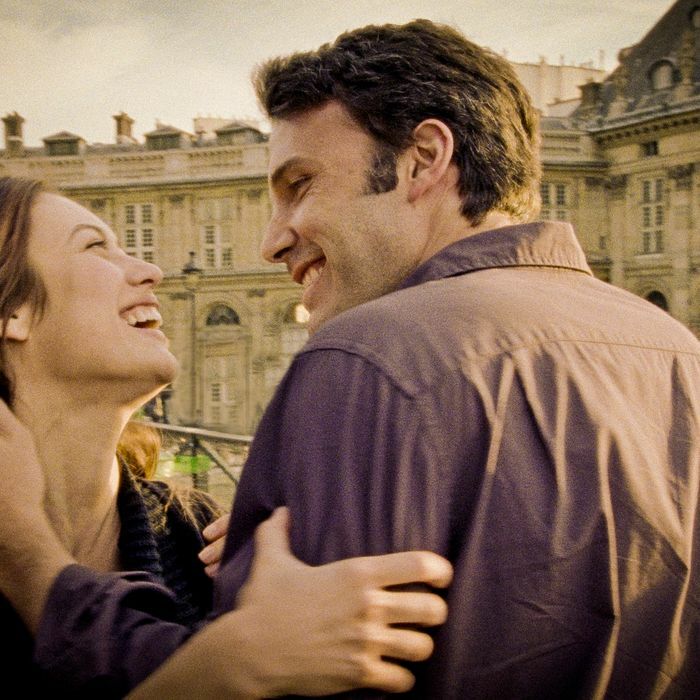 The scenes in France depict the early, happier times in the relationship between Marina and Neil (Affleck), before they head to the American Midwest and things fall apart. “In France, the mood we had to convey was one of euphoria, of two people being very much in love,” says Kurylenko. Shooting with Malick was a process of constant movement, more of a dance performance then traditional acting. “What he always said was, ‘Keep moving, keep moving. Don’t stop.’ If I ever stopped, he’d poke me to keep going.” And the camera moved with the actors: One of Malick and Lubezki’s unwritten rules is that the camera should always be “in the eye of the hurricane” — in the middle of a scene, constantly interacting with the characters. 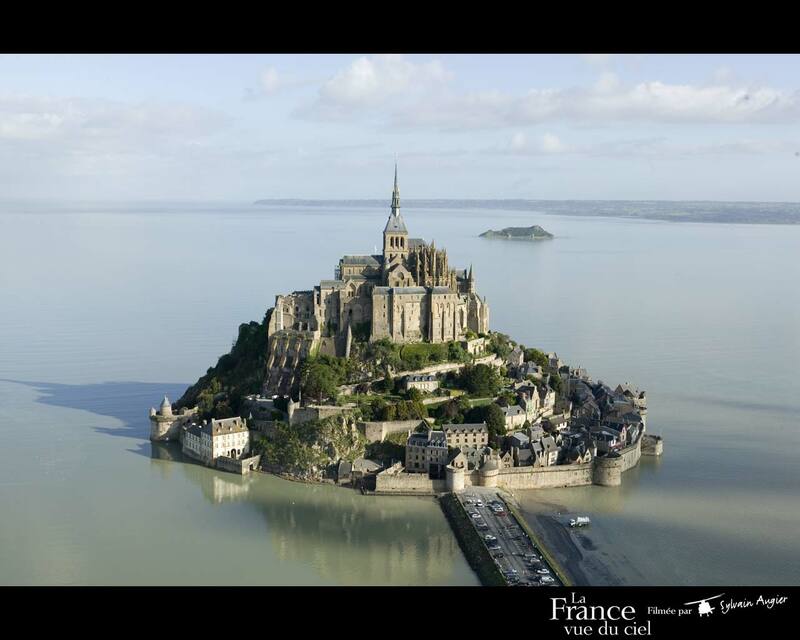 Mont Saint-Michel was a location Malick knew well and had always had in mind for the France section of the film. (The filmmaker lived in France during the eighties, and while cast and crew are understandably respectful of the publicity-shy filmmaker’s privacy, the story of To the Wonder, much like that of The Tree of Life, appears to be very loosely autobiographical.) The spot is famous not just for its medieval monastery, with its impressive spires that rise above the tiny island, but also for the tide that quickly rolls in and out on the flats that connect it to the mainland. In the film, after reaching the top of the monastery, Affleck and Kurylenko’s characters frolic along the quicksand of the tidal flats, as the sea comes in. “Standing there, suddenly you’ll be knee-deep in water,” says producer Gonda, adding that the site is actually quite dangerous. “We actually had to be there with a professional, their equivalent of a park ranger.” In the editing room, that incoming tide — somehow both lovely and ominous — presented itself very quickly as a metaphor for the pain lying in wait for the couple in America. The flats also made for a poignant contrast with the scene immediately preceding, which takes place at the monastery. Initially, the crew shot a signficant amount of footage, going through every level of the building, and gradually working their way up through the balconies of the sacred space. But later, Malick and his editors focused primarily on the scenes at the very top of the monastery, where Neil and Marina share a quiet, contented embrace — Mont Saint-Michel as another of Malick’s lost, romantic Edens, a motif that occurs in pretty much all of his films. In fact, Malick will use existing works of art and literature as touch-points with virtually all of his cast and crew. “It enables them to have a common vernacular on set that’s not about technique, but emotion — a shared memory,” Gonda says. For example, with the producers, the director often referenced paintings. With camera operator Widmer, who is also an accomplished musician, the references were often musical. With his editing team, Malick often passed out books such as Flaubert’s Madame Bovary and Walker Percy’s The Moviegoer. But he would also reference other films: Truffaut’s Jules and Jim, with its heavy and unique use of voice-over, was a constant reference point. (At one point, the score for Truffaut’s film was used as part of a temp soundtrack.) Malick is also a huge fan of Jean-Luc Godard and often referenced Godard films such as Breathless, Pierrot le Fou, and Vivre Sa Vie, for their elliptical narrative and editing styles. One odd but telling reference point Malick gave his editors was Margaret A. Doody’s introduction to the Penguin Books edition of Samuel Richardson’s revolutionary 1740 novel Pamela. In the intro, Doody discusses the fact that Richardson’s novel, which unfolds as a series of letters, presents an internalized narrative that appears, on the surface, to lack any and all artifice. “He loves the formless, the radiant zigzag becoming,” Doody writes, and the phrase “radiant zigzag becoming” soon became an unofficial motto for the film, representing its constant sense of movement and the fact that the characters’ relationships seem to always be in flux. That state of constant flux could also apply to the way Malick edited the film. There are five credited editors on To the Wonder, as there were on Tree of Life, but the process was a bit different this time. While on Tree, different editors came in at different times to cut the film, this time the editors mostly worked simultaneously, on different elements — one person, for example, focused on the enormous amount of documentary-style footage shot with Javier Bardem, who plays a priest in Oklahoma, while another focused on voice-over. The music was also constantly in flux. A huge amount of music had already been uploaded onto the editing system from the postproduction of Tree of Life — this was, essentially, Malick’s own listening library — and from day one, the editors experimented with different musical pieces, cutting footage to one piece, then replacing it with another to see how a scene flowed. Composer Hanan Townshend would then listen to the classical pieces on the soundtrack and then riff on a melody or a theme for an original composition. It was an ever-changing, almost symbiotic process of trial and error — a unique way of filmmaking that characterized the entire production of To the Wonder.